About meI graduated from the University of British Columbia with a Bachelor of Education. I am a B.C. certified teacher, a member of the B.C. College of Teachers and a book lover. I was the B.C. 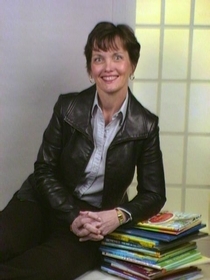 Regional Officer for the Canadian Children's Book Centre until the positions were eliminated September 2010. At the present time, I deliver Professional Development and Parent Education programs throughout the Lower Mainland of British Columbia (Canada). As well, I work as a private tutor and write about children’s books for The PPP Partner (the newsletter of the Council of Parent Participation Preschools in B.C.). GroupsCanadian Bookworms, Canuckistan, CBC's Canada Reads Fans, Children's Fiction, Children's Literature, For Parents: Raising Readers, Parents, kids and reading.